One could think that after his double album (“The Demon Diaries“, 2015) Parov Stelar would allow himself a little rest, but Parov Stelar is not a man of idleness. After the release of his live album “Live @ Pukkelpop“ this past spring and several live shows, he already pulls off his next coup with “Grandpa’s Groove“. For that he cooperated with no other than his Swedish colleague, the star producer AronChupa (“I’m an Albatraoz). The final result brings lots of energy that goes directly into your ears and makes your legs move. Distinctive horn sections and impelling beats meet the powerful voice of AronChupas little sis Nora, which already turned “Little Swing“ into a hit. 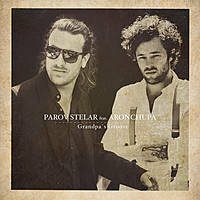 “Grandpa’s Groove“ adds new nuances to the creative work of Parov Stelar and there is no doubt that the song will soon be joining the all time favorites of his fans. On top of that the track will get many new people enthusiastic about Stelars absolutely fascinating music world. Their debut single „When I Find My Love“ entered the Top 150 german airplay charts right of the bat and became a streaming hit on Spotify. It was played by some of the most popular radio stations in Europe. Lee Anduze is a thoroughbred musician born in the U.S. virgin islands. His unique voice reflects his passion for music. He never fails to impress the audience with his frontman charisma. Anduze has proven that quite recently at his live performances on German TV like „ZDF Morgenmagazin“ and „Joiz“. 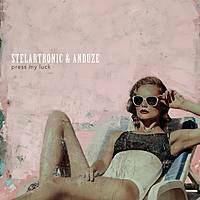 The follow-up single „Press My Luck“ taken from the upcoming album which will be released in summer 2016 brings us some much longed-for summer feeling. Eugene The Cat are the hot new sound from Linz (Austria). Blending electronic elements with live guitar, saxophone, a powerful voice and marching drum arrangements, their sound refuses to be neatly categorised within the electronic music genre. 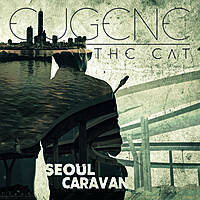 The EP "Seoul Caravan" provides danceable, electronic beats and high quality sound. Inspired by artists as Parov Stelar, Caravan Palace, Koan Sound and Jazz legends as Django Reinhardt, Charlie Parker and Chet Baker, Eugene The Cat bring back the sound of the "good old days" into the 21st century. Golan is a three piece band based in Bucharest, Romania. Using live instruments such as trumpet, flute, drums, sampling and djing, the trio creates a very unique sound. Their music is melodic and dreamy while at the same time making you dance your shoes off. Formed in 2013, the group has had one of the quickest ascents in the Romanian electronic music scene. Winners of the Best Electro Award in 2014, given by Sunete - Romania‘s most important print music magazine - they became headliners all over their home country, playing major festivals. 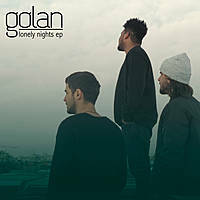 In March 2016 Golan released a 3 track EP including live sessions at Parov Stelar’s label etage noir recordings. His impressive live implementation of electronic music has made Parov Stelar a much sought after live act in the last decade. With "Live @ Pukkelpop" he now presents his first live album.It all started 10 years ago when the electro swing pioneer began his metamorphosis from producer to bandleader by founding his live band. It became a sensational success story that goes hand in hand with the success of his albums and singles. On stage Parov Stelar merges the live sound of his musicians - vocals, drums, bass, guitar, horns and occasionally strings - with electronic beats and samples of his signature sound. Huge crowds flock to the shows of this in the live business unique formation to participate in Parov Stelar’s electronic big band performances at festivals and single shows. For the 2015 album release of „The Demon Diaries“ Parov Stelar once again eagerly worked on his live set up visually and content-wise in order to completely match it with the new album. His timeless sound with the musical bonds across the history of music got a new optical frame, and in addition to classics from his repertoire many new songs found their way into the live set. Since then the tour led Parov Stelar with band, crew and remarkable production across Europe and the US. Fans greeted them with euphoric cheers and celebrated massive dance parties everywhere. The concert at Pukkelpop Festival 2015 shows the amazing atmosphere at a Parov Stelar live show and is his first live album exactly 10 years after forming the band. There is a rather special relationship between L.A-based soul singer Anduze and Austria’s most popular producer Marcus Füreder aka Parov Stelar. Ever since his powerful vocals featured on “This Game” and “Josephine”, the man born in the U.S Virgin Islands has been a must-have on Parov’s albums. So it comes as no surprise that the two have teamed up once again, this time as Stelartronic & Anduze. Their first release sees the duo combine their musical influences to create a track full of pop appeal and house beats, fused with radiofriendly club sounds. 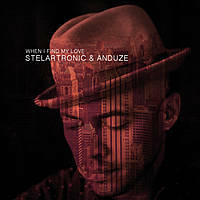 "When I Find My Love" provides the perfect platform for Anduze’s unique voice, as the smooth melancholy of the track embraces his vocal tones and lets them resonate through the night. 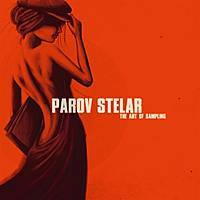 Over the years Parov Stelar has meticulously sampled, remixed and referenced some of the most influential sounds of bygone eras, injecting them with a new lease of life and bringing them into modern times. It has become the definition for a certain style, a certain sound, THE Parov Stelar sound. Undeniably unique, countlessly copied but never equalled. He was the gentleman of electro-swing, the soul brother and the phantom of the disco, but now, Parov Stelar is simply himself. 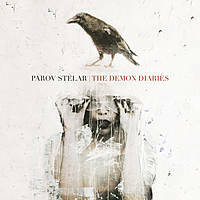 Three years after his last album, Parov Stelar returns to the world he created with “The Demon Diaries“, his sixth LP. The package contains 24 songs on 2 CDs with nine guest vocalists. La Rochelle Band’s brand-new single “Love Me Too” is an explosive taste of what to expect on their upcoming LP “Wonderland“, which is set to be released in spring. Producer Peter Cruseder and singer Ricarda-Maria are in top form, mixing sexiness, clever samples and massive melodies to create a track full of electro-innovation from the steel city Linz. 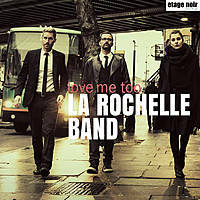 „Love me too“ is dripping with hit potential and the dirty-flirty soul sound that the La Rochelle Band are world-renowned for, giving electro fans a generous helping of “the good stuff“ as they wait with bated breath for the release of “Wonderland“. "Love Is the Drug" is a 1975 single from Roxy Music's fifth studio album „Siren“. It is a great honour to remix the Jazz version of this classic recorded on The Jazz Age album by Bryan Ferry and the Bryan Ferry Orchestra for the modern era. The Bryan Ferry Beatport Remix Contest gained huge interest among followers and fans and we received more than 1.000 submissions. 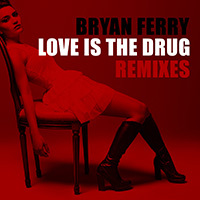 It wasn’t easy for the jury consisting of Bryan Ferry, Parov Stelar and Beatport to pick the top 3 remixes for the „Love is the Drug Remixes (Remix Contest Winners) EP“. No other than Parov Stelar, founder of the music genre „Electro Swing“, selected the remix winner - The Signal Flux Remix – out of many amazing submissions. 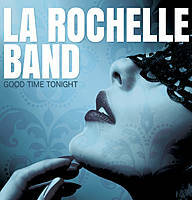 The La Rochelle Band’s brand new EP “Good Time Tonight” delivers exquisite electro music with hit potential. The trio led by Peter Cruseder has been mixing it with the electro elite since the release of “Work that Body”. With “Good time tonight” Peter has once again produced music of the highest caliber to shake your tail feather too. With this EP, the band has created party electro music for the advanced, getting four to the floor connaisseurs, glamour chicks and party aficionados alike onto the dance floors, and will also be taking pride of place in their future playlists as well. 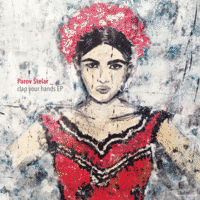 Parov Stelar continues with his EP release strategy with the „Clap Your Hands EP“. The artist has released numerous EPs over the last ten years which have often given us a little taste of the new albums and this one is no different. „The Sun feat. Graham Candy“ is a track which doesn’t just follow the sun, despite it being a perfect anthem for summer. It also transports something completely independently, which is best described by a tonal Fata Morgana in the mountains of New Zealand. This is the land that gave birth to Graham Candy, the man who is currently turning heads with his exceptional voice. WE ARE PROUDLY PRESENTING THE BRAND NEW VIDEO…. 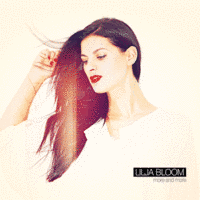 Lilja Bloom’s name has been popping up in the musical world for a number of years now. Often unexpectedly, but also exactly where one would hope, always to the point, but still untouchable. Lilja Bloom´s impact and distance of her voice has had a major influence on her husband, Parov Stelar, and his albums. With the mini-album „More and More“ she takes us on a journey to the music of the 80s. It comes with 4 songs and 4 remixes. 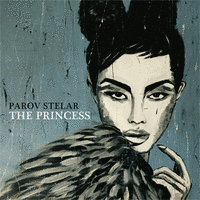 Parov Stelar turns the title track „More and More“ into a relaxed club track. 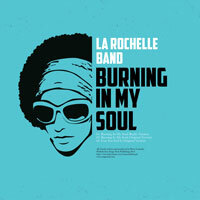 The La Rochelle Band take „Golden Arrow“ to another decade and examine how the song would work as a 90s club variation. A.G.Trio put their own mark on two tracks, turning the 80s dials up to the maximum on „Golden Arrow“, while giving „Lovers Game“ a modern, electro-house feeling. 10 years Parov Stelar. This means it is time for a retrospective collection which is called "The Art Of Sampling" and out now! Peter Cruseder and his La Rochelle Band return with their 2nd release on Etage Noir Recordings. With it they show how the act has been able to develop an independent and easily recognizable sound of their own. The new two-track EP "Burning In My Soul" (with the B-side "Can You Feel It") is the perfect accompaniment for the first rays of sunshine. With a dreamy melancholy the two tracks groove themselves into gear and are more than ready to hit the club dance floors, outdoor parties and Sunday afternoon raves on the beach. 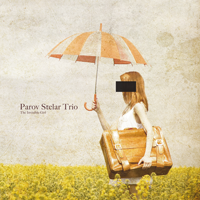 The Parov Stelar trio is one of the two live set-ups, which accompany Parov Stelar on stage as he travels the world. “The Invisible Girl” marks the trio’s first release in this formation. The roots of their live appearances are clear to hear in the ten tracks. All aspects of melancholy are replaced by a lust for life in a raw, energetic and more direct style than one would normally expect from Parov Stelar. Together with live musicians Jerry di Monza and Max the Sax, Parov Stelar is able to bring the magic of his music to the stages of clubs and festivals across the globe. It was a truly busy summer for Parov Stelar. His 5th studio album "The Princess" was a success and tickets for his shows all over the world were on heavy demand. After an exhausting summer of touring, with dozens of sold out shows, it´s now time to make a brief stop, take a deep breath and look back. 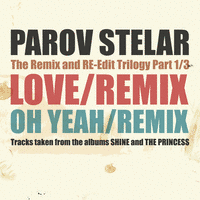 Parov Stelar has chosen is a series of three remix EPs as the perfect way to reflect. In this series he and colleagues have been searching for new aspects in his sounds and reinterpreting his music. Every EP follows it´s own path and carves out some unique details. With La Rochelle´s new EP Etage Noir Recordings heralds the summer 2012. "Work That Body" contains 3 new tracks by the Austrian group. Under the direction of mastermind Peter Cruseder La Rochelle released their debut album in January 2012, and it is also Cruseder´s love for drifty basslines which defines this new EP. The combination of this basslines with grooves and catchy hooklines creates an authentic summer hit. And with Roland Schwarz´s remix of "Jayjay" the EP also contains the perfect track for the late summer nights, pushing the track straight forward and adding a perfect accent to the EP. Alice Francis is the new cool swing era's First Lady, and not just for that she is one of the most exciting newcomers of the year. If it wasn't for her unique voice, bringing together modern pop with the clear note of jazz greats like Billie Holiday or Eartha Kitt and a good dosage of acting talent, it's for her extraordinary talents as a songwriter. 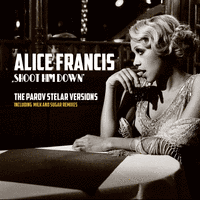 Alice's qualities as a singer/songwriter and live-performer convinced Parov Stelar, that’s why he produced his own version of „Shoot Him Down“. Deeply impressed by this collaboration, Milk + Sugar have also crafted two brilliant mixes. The sound of the roaring twenties, crafted with the stylistic devices of the 21st century. Austrian musician Parov Stelar has taken over the global music scene like a phantom in recent years. Through his music the modest but exceptional talent has not only gained an enormous fan base, but has also achieved cult status as a producer. His retro- influenced music is borne out of an aura of elegance, wickedness and pure energy. Performances of the Parov Stelar band are one of the most impressive live of electronic music currently to be seen anywhere in the world. 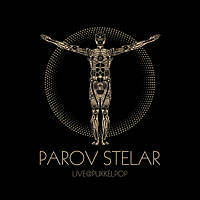 Brass and rhythm sections along with tour singer Cleo Panther re-invent Parov Stelar’s electro beats, original track to it´s bones and reconstructs it to a deep and groovy house track.